As a parent you want to give your children a fantastic childhood, one they look back on as an adult with fond memories. The role of parent is an important role, but exhausting, and sometimes you are juggling six things at once. Any help is appreciated, right? Here are 10 practical tips and hints on how to make parenting a little bit easier for you, and, at the same time, more fun for your children. 1. 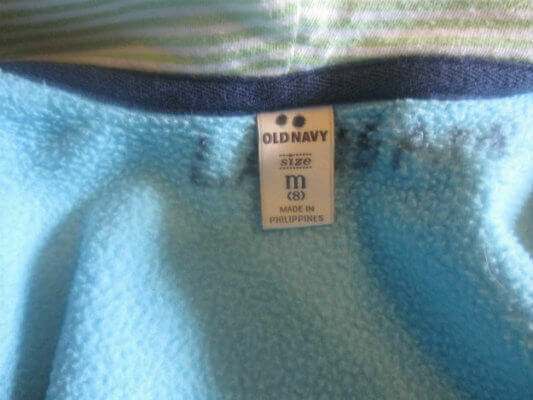 Use the dot method to label clothing. Such a simple idea, but so useful if you have a whole tribe of children to look after. So, mark two dots for the second child in your family, three dots for the third child, and so on. This tip alone should save you lots of time when sorting out the laundry. 2. 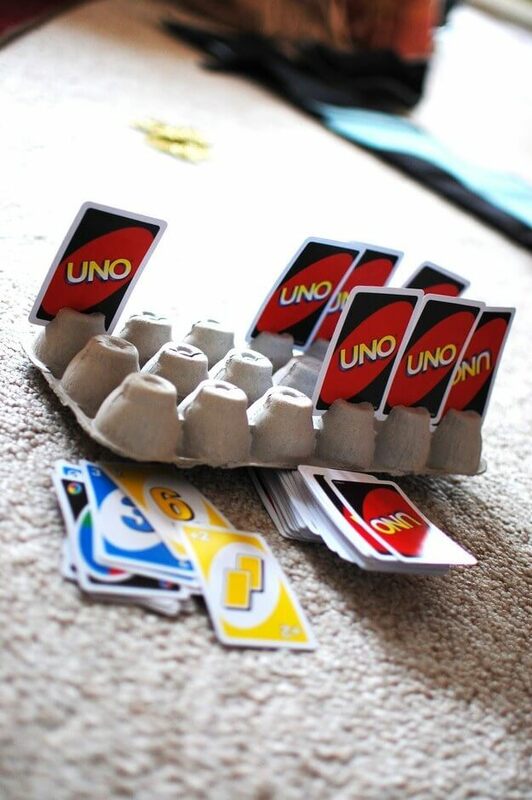 Use an egg carton for card games. Cut slots into an upturned egg carton to create a makeshift card holder. 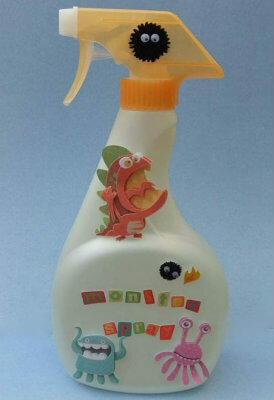 Add monster stickers to a bottle and fill with water to create a “monster spray.” When your little one gets scared in the night you can get rid of the monsters with this spray. Genius idea! 4. Use stickers to show your child the correct foot for their shoes. 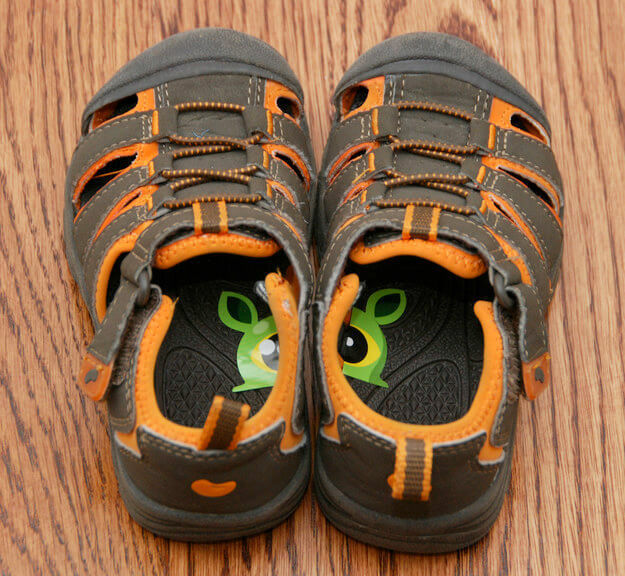 If your child is already able to put on their shoes but still gets a little confused between right and left, this little sticker trick will help you get out the door faster. 5. 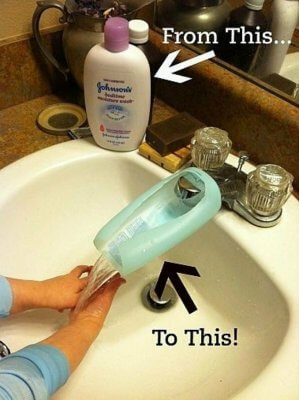 Use an empty lotion bottle to make washing hands easier for little children. Turning old lotion bottles into faucet extenders is a great idea as they can wash their hands on their own, which promotes their independence. It also frees up your time to get other tasks done. 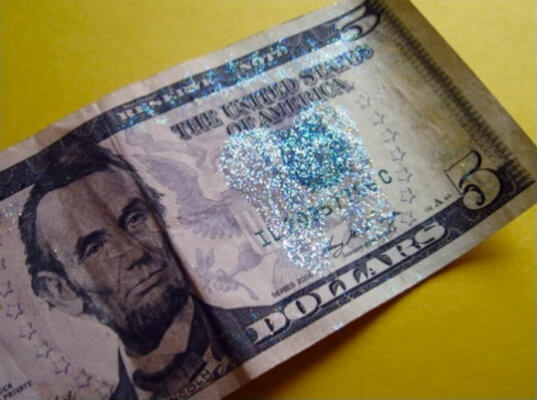 This fun idea is simple, and will be a big hit with your children. 7. 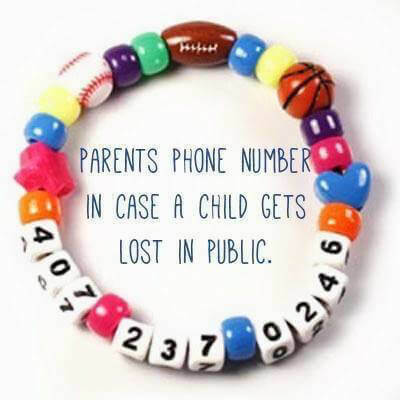 Make a kid-friendly bracelet with your phone number on it. All children get lost at some point in their childhood and it can be scary. This simple idea will ensure you can reclaim your child with minimum fuss. You can even involve your children in the making of the bracelet. 8. 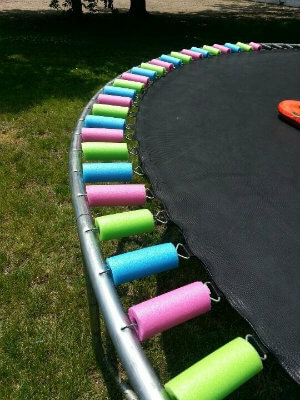 Cover trampoline springs with pool noodles. Pool noodles are great for protecting your equipment from little children, helping prevent injuries. 9. 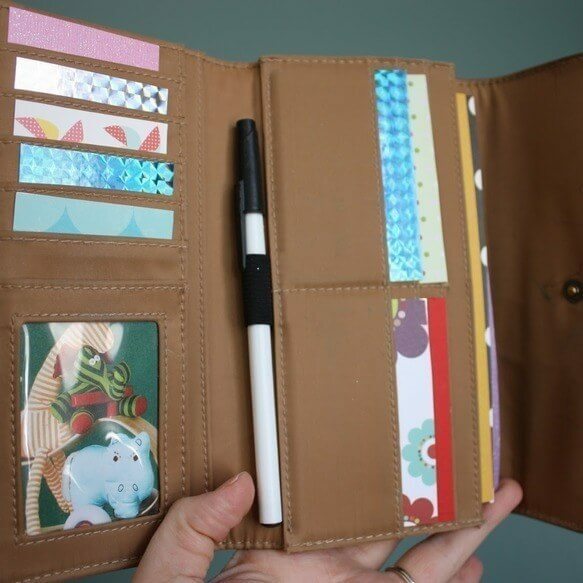 Make a “busy wallet” with drawing paper, fun stickers, and a pen. Perfect for keeping children occupied when the food is taking just that little bit too long to arrive! 10. 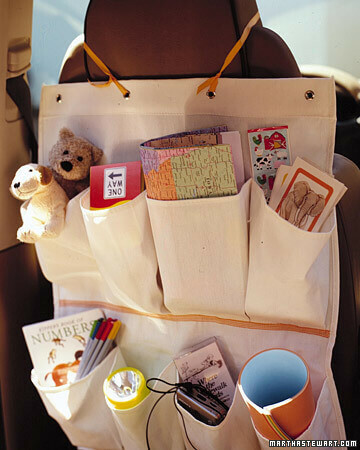 Hang a shoe organiser on the back of your car seats. Over-the-door shoe organisers are perfect for holding toys, games, and snacks.